Supervision is one of the most important management skills in any organization. But it is also one of the least understood. Typically the supervisor is someone who has mastered the skills needed to do a job. But as any supervisor soon learns, viagra sale clinic it takes a DIFFERENT set of skills to supervise employees than it does to do their job. Most people make lots of mistakes as supervisor. It often requires learning as you go and figuring out things on your own. That can lead to lots of problems with poor departmental performance. Employees frequently quit when their boss does not know how to supervise well. Now your organization can enjoy the many benefits of having well trained supervisors. Dr. Paul Gerhardt, The Organizational Doctor®, offers 2 hour, 4 hour, and 6 hour supervision training programs at your workplace or location of your choice. Dr. Gerhardt covers all the important aspects and techniques of good supervision. Attendees receive training and expert advice tailored to the needs of your company. Supervision training is one of the most-important investments an organization can make. Performance, production, efficiency, and employee morale will improve. Your organization can now enjoy the extensive benefits of well trained supervisors. 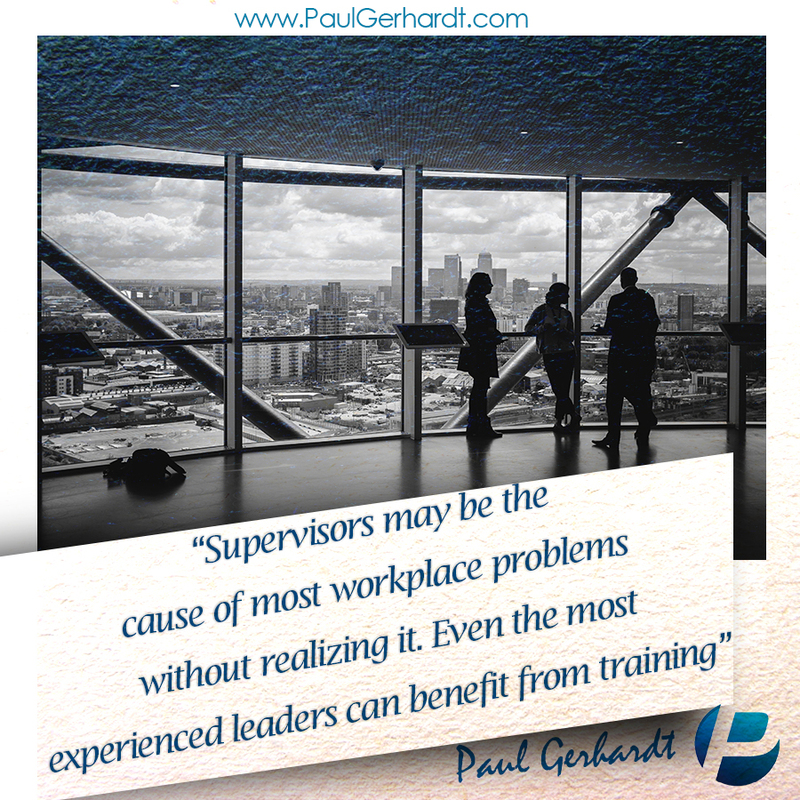 Call NOW for your no-obligation discussion about Paul Gerhardt conducting supervision training for your organization. © 2019 Dr. Paul Gerhardt.